I have provided scriptural understanding for what the church is. I have also provided some basic scriptural backing for the acceptability of establishing individual congregations without requiring permission from other leaders. What I would like to do know is provide a guide for beginning to establish a church in your area. Before this though I need to talk a bit about how the church is established overall. The church organization given in the scriptures is much more egalitarian than what is practiced by the L-DS corporation. Also it is much more diverse and interesting. The modern organization of the Church typifies a Babylonian pyramidal hierarchical organization. But the scriptural organization of the church is a progressive, yet humble organization, which is designed to bring forth God’s kingdom on the earth. Just for example here is a diagram of the Church organization. Pretty straight forward Leaders at the top members at the bottom. And if you insist the leaders of the Church are servants then you can flip the pyramid upside down, but you still get the same organization, just upside down. However I’m going to refer to some scriptures in Doctrine and Covenants that help us understand the true organization of the church. Lets start with the world. There are two major areas of division in the scriptural church. These are the world, and the Land of Zion. 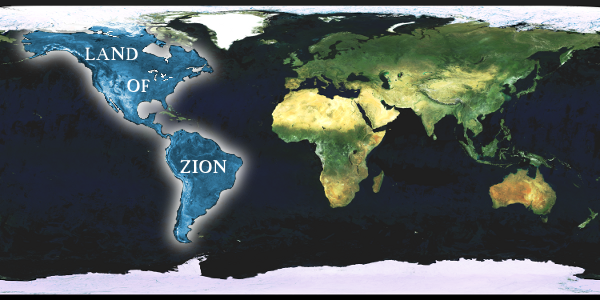 The Land of Zion consists of North and South America. The world is everywhere else. But for matters of jurisdiction Zion consists only of those stakes of Zion organized in the Land of Zion and around the world. The world then consists of all lands that are not part of a stake of Zion. The exception being the stakes scattered abroad which are not considered stakes of Zion. Jerusalem and the land of Israel are also important. 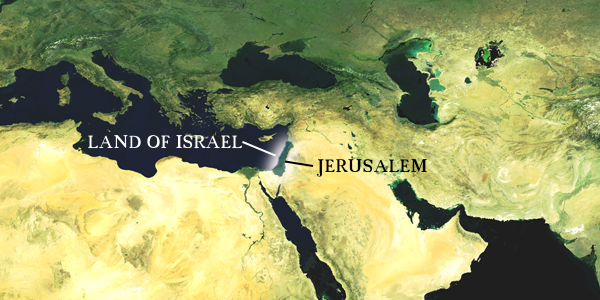 Jerusalem and Zion(New Jerusalem) are parallel cities. With the gentiles being gathered to Zion and the Jews to Jerusalem one can imagine cities patterned after Jerusalem being built in the land of Israel as described by Ezekiel. The Stakes of Zion(except for the stakes scattered abroad) are self sufficient cities. Each having their own United Order. There are three types of Stakes of Zion. This first is the center stake meanings Zion itself. The third type of Stake of Zion are Stakes patterned after Zion that are to fill the world. On the first plat of Zion there was a command that “When this square is thus laid off and supplied, lay off another in the same way, and so fill up the world.” We can assume that this command was carried through for the revised second Plat of Zion. So after the Twelve Stakes have been built and filled, then Zion can be built and filled. Only then, can we start building Cities and Stakes around the world. This also answers the question about temples around the world. Yes, temples around the world are acceptable, but only if they are build in cities of Zion after Zion itself has been completed. So you ask, where will my branch of the church fit in? Most likely your church will be part of one of the stakes scattered aboard. 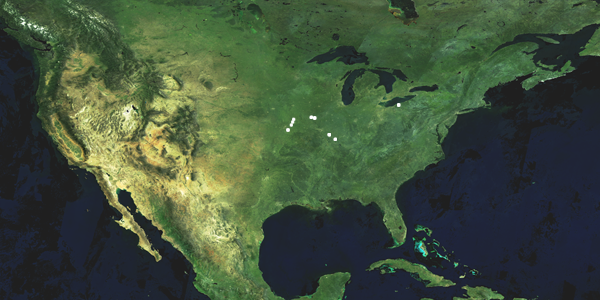 A stake is just a collection of congregations/churches. You shouldn’t have to worry about the United Order in outlying stakes nor temple/city building. Your focus should be on bringing souls to Christ through the Gospel. Then meeting together as a church. I’ll discuss the move to Zion in later posts. The church has two divisions the Melchizedek Priesthood and the Aaronic or Levitical Priesthood. The Melchizedek Priesthood, which is in charge of Spiritual things, is overseen by a President and two councilors. These three, form the “Presidency of the High Priesthood, after the order of Melchizedek”. Also these three must be High Priests chosen by the body(the church). Now I’m not necessarily advocating we all start electing our own first presidency or anything. While that time may come in the future lets just focus on organizing a local church. This stuff is just for review. The Twelve Traveling Councilors, or Twelve Apostles, or to be special witnesses of Christ in all the world. They do their work as missionaries first to the gentiles and then to the Jews. They as a quorum are equal in authority to the three presiding High priests. However they have no jurisdiction in Stakes of Zion. Only in the world and stakes scattered abroad. They are to officiate under the direction of the Presidency of the church. The twelve are to call upon the Seventy to help them in their duties. They twelve may ordain evangelical ministers in the large branches of the church in the world. The Seventy or also special witnesses to the world. They do their work as missionaries first to the gentiles then to the Jews. The Quorums of the Seventy have equal authority to the Travling High Council(Quorum of the Twelve) and the Three presiding High Priests. Like the Twelve they only have authority in the world and outlying stakes. the Seventy act under the direction of the Twelve. Eventually there will be one hundred forty-four thousand of these Seventy, twelve thousand from each tribe, who will preach the gospel to the world. Each Stake of Zion both in the Land of Zion and around the world has a High Council. All together these High councils form a Quorum. This Quorum is equal in authority to the Presidency, the Traveling High Council, and the Seventy. Zion, the center place, has a High Council. this High Council is equal in authority to the Presidency, the Traveling High Council, the Seventy, and the quorum of the High Councils. If any decision of any of these quorums is made in unrighteousness it may be brought before an assembly of the other quorums. In regards to the Aaronic Priesthood it is overseen by a Presiding Bishop or Bishopric. The right to the office of Bishop belongs to a literal descendant of Aaron. He does not need to have councilors. But in cases where there is no literal descendant a High Priest of the order of Melchizedek may be ordained to the office of Bishop. In this case he is to be assisted by two councilors. According to D&C 107:74-75 Bishops which are under the Presiding Bishop are to be ordained as needed. Ok, there you have the grand scheme. Now lets look at the local stuff. A church begins when two or more people who have repented and come unto Christ meet together. This church is formed by the social bonds between those meeting. The purpose of meeting as a church is to strengthen each other. This includes socially, spiritually, temporally, etc. Are they who should be baptized. There is nothing about having a solid understanding of every little thing taught by Joseph Smith. No, it is simply about the gospel. A person may be baptized by an Elder or a Priest. If you have an Elder or Priest in your church that’s great. If not, I’ll talk later about how to get one. D&C 20:68 After being baptized but before being confirmed or partaking of the sacrament a new member must have all things concerning the church of Christ expounded to their understanding by the elders or priests. If you don’t have a steady supply of people are already members coming to you church then missionary work and baptism is the best way to increase your church. General meeting – Gather to listen from speakers as inspired by the spirit. Healings, gift of tongues, prophecy, etc. Sacrament – Gather to partake of the Lord’s Supper. Partake of bread and wine as symbols of Christ until full, both physically and Spiritually. Anointed Quorum – For saints who have participated in the Nauvoo Endowment. Discuss the mysteries. Female Relief Society of Nauvoo – Click here for more study. I have to make sure that we recognize that there is generally no requirement in the scriptures for an officer of the Church to request permission from a “superior” in order to fulfill their duties. These duties are simply what each officer must do. God gives you permission to fulfill these duties. JUST DO THEM. Officiate in absence of a High Priest. Officiate in all of these offices in the church when no higher authority is present. See that there is no iniquity in the church, neither hardness with each other, neither lying, backbiting, nor evil speaking. Officiate in office of elder, priest, teacher, deacon, and member. Determine privileges of the lands in Zion. If there are already members in your church then the consenting vote of the members of that church are required before officers can be ordained. But in places where there are no churches(branch of the church), then officers may be ordained without a vote of the non existent church. For example if you go on a mission to some remote area. After being ordained an elder must receive a license to be able to fulfill his duties. This license is given by the consenting vote of the church to which they belong or at a conference of the church. If an priest, teacher, or deacon is ordained by a priest then they should receive a certificate from that priest. The priest, teacher, or deacon should then present that certificate to an elder. The Elder will then give him a license. Or the license may be given at a conference. If there is a priest in your church then he may ordain other priests, teacher, or deacons. If you have an elder then he may ordain elders, priests, teachers, and/or deacons. However Presidents of the High Priesthood(or presiding elders), bishops, high councilors, and high priests, may only be ordained at the direction of a high council, or a conference of the church. The scriptures have given us the guidelines for operating branches of the church in our own locations. 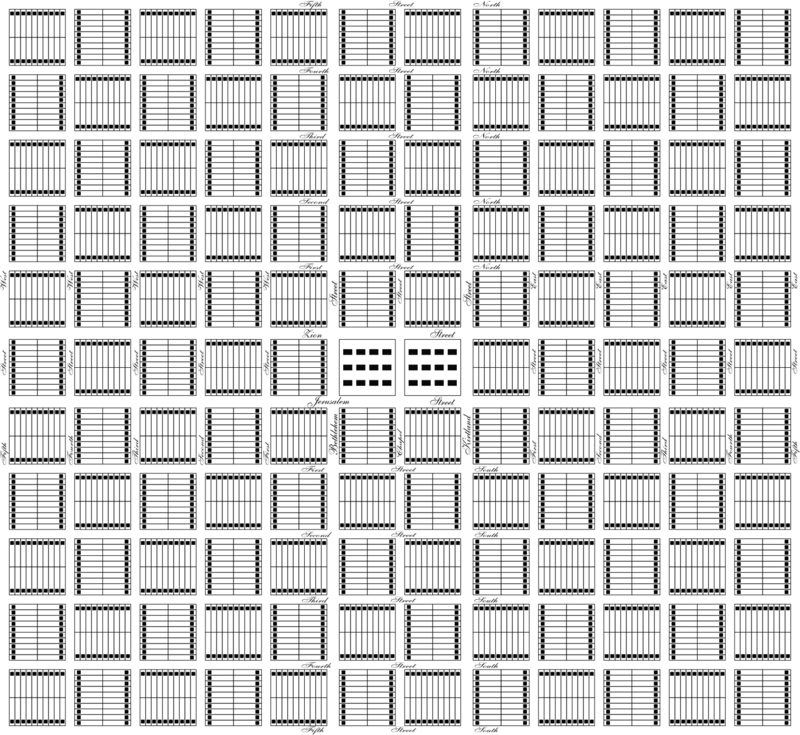 Please reread sections 20 and 107. Also what helps me is just to do a search one scriptures.lds.org for a term then read all the entries. For example I just searched bishop in the Doctrine and Covenants and then read every entry. Those duties I found are what I wrote on my list. Members who are moving to another area and hence another branch of the church, or who are visiting another branch, should take with them a letter. The church that they are leaving must give the member a letter certifying that they are regular members in good standing. This letter may be signed by any elder or priest if the member personally knows the elder or priest. If not then the letter may be signed by any teacher or deacon. There you go. You have your very own how to guide for establishing a branch of the church in your area. Not that you didn’t already have it in your D&C but whatever. I hope this will motivate some people to start holding their own meetings as the church. On Rock’s posts I heard a lot of people wondering what alternatives we have to L-DS sacrament meetings. Well here is your alternative. Meet in your homes as the church as directed by the scriptures and the Spirit. P.S. I haven’t been able to find any historic texts for the Priest/teacher/deacon certificate that they take to an elder to get their license. Likewise I haven’t been able to find historic text for the D&C 20:84 letter of membership. If any of you know of any historic text I would love to see it. This entry was posted in Church, Jesus Christ, Unification and tagged baptism, bishop, Christ, church, city, deacon, elder, Jesus, Latter-day, LDS, meeting, priest, rebaptism, relief, sacrament, Saint, society, stake, teacher, Zion. Bookmark the permalink. THIS Certifies that Parley P. Pratt, has been received into the church of the Latter Day Saints, organized on the sixth of April, in the year of our Lord, one thousand, eight hundred, and thirty, and has been ordained an elder according to the rules and regulations of said church, and is duly authorized to preach the gospel, agreeably to the authority of that office. From the satisfactory evidence which we have of his good moral character, and his zeal for the cause of right eousness, and diligent desire to persuade men to forsake evil and embrace truth, we confidently recommend him to all candid and upright people, as a worthy member of society. Given by the direction of a conference of the elders of said church, assembled in Kirtland, Geauga county, Ohio, this 26th day of April, in the year of our Lord one thousand, eight hundred, and thirty-five. Essentially, the licenses were used to verify to other churches that the a person’s priesthood keys had been properly authorized by the church to which the priesthood holder belonged. Remember, priesthood keys are not authorized by virtue of ordination and righteousness alone — to be used in a congregation, priesthood keys require the authorization by common consent of that congregation. The 12 are a traveling high counsel, their courts/jurisdiction is outside of the stakes of Zion not in them as they now govern. Your pyramid should be divided in 2. High Priests NOT to be Seventies (History of the Church 1837/Joseph Smith, TPJS p. 111), Joseph finds out that 5 out of his 7 presidents of the Seventy were previously ordained High Priests. He releases them on the spot because a High Priest cannot be a Seventy or a President of the Seventy, Joseph’s own words were “this was declared to be wrong, and not according to the order of heaven.” We don’t have a leg to stand on, all our seventies are high priests. Area authorities aren’t even an office, just something the brethren invented back in the 50’s, might as well call them cardinals because there is not precedence for them in scripture. Brigham Young: Seventies Council Hall, April 27, 1861. Summary of BY: You make sure you 1. Ordain the new seventy to the Melchizedek priesthood, then you set them apart to be an Apostle in the quorum of the Seventies. You can boil down the priesthood to PRE and POST Heber J Grant. President: was nominated and voted on (inline with Article of Faith 5) to be a presiding high priest to the church. Seventy: a quorum of apostles that acted like an army reserve, called upon by the twelve to fill vacancies in their quorum and called upon by the twelve to assist in the labor. 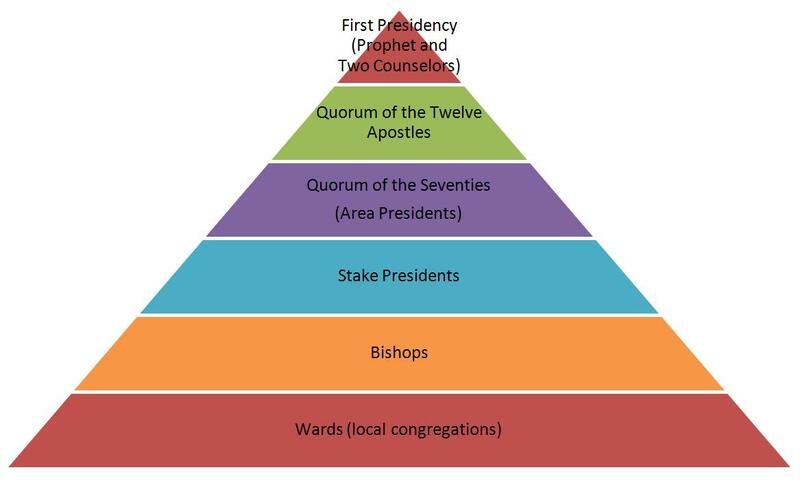 Seventy: Shifted to a stake quorum, back to a general quorum, made high priests so they can ordain high priests under McKay (they should have been apostles which is higher than a high priest), back to a stake quorum under Kimball, could be ordained by Stake presidents (Stake presidents ordaining seventies??? That’s like deacons ordaining Bishops so they can pass the sacrament) now back to a General Quorum but they’re all high priests not from the elders and none of them are ordained Apostles. Joseph Smith restored them so well the quorum fit the descriptions of ante nicene fathers/historians like Eusubius, they’ve been fumbled around and demoted so badly that enemies of the church don’t use them as an example against us, because in doing so they’d have to admit that Joseph correctly restored the office. So they stay silent. Elders: Called upon to do the work of the Apostle, yet not holding any apostolic powers at all. Work of building up the kingdom is put on their shoulders when it was rolled off on to the twelves. Since it is for the Elders to preach inside the stakes of Zion I have no problem with the church sending Elders to other stakes to be missionaries, it’s in countries that or areas where there are only districts and no Stakes that should be directly presided over and proselyted by a Seventy or an Apostle until a stake is able to be formed. As you can see we’re very much out of order in the priesthood. Thus qualifying us for the need of a “One Mighty and Strong” to set the house of God in order as promised in Section 85. Area authorities aren’t even an office, just something the brethren invented back in the 50′s, might as well call them cardinals because there is not precedence for them in scripture. On April 1st, 1995, in the Priesthood Session of General Conference, in an address which was later entitled and printed in the Ensign magazine, This Work Is Concerned with People, President Hinckley made the announcement that all Regional Representatives were to be released and a new office was to be created, called an Area Authority. Whereas other officers of the church, who belong not unto the Twelve, neither to the Seventy, are not under the responsibility to travel among all nations, but are to travel as their circumstances shall allow, notwithstanding they may hold as high and responsible offices in the church. Yes but those “high and responsible offices” are already defined, not made up spur of the moment. It’s like Oliver Cowdery for example was an ordained apostle, neither in the quorum of the 70 or 12. Yet his high office he held was associate president of the church along side Joseph. Same with the Wittmers or Martin Harris who were also Apostles that were not in an apostolic quorum, they served on the high counsels or in high priests quorums. The Regional Reps were invented in the 50’s under McKay, then they evolved into Area Authority Seventy. Well first of all if they’re 70’s they should be apostles, and second of all, all quorums of the seventy (all seven of them) are general quorums. B.H Roberts fought tooth and nail against the demotion of the Seventies. He left a bunch of letters to the twelve and first presidency behind explaining their folly.